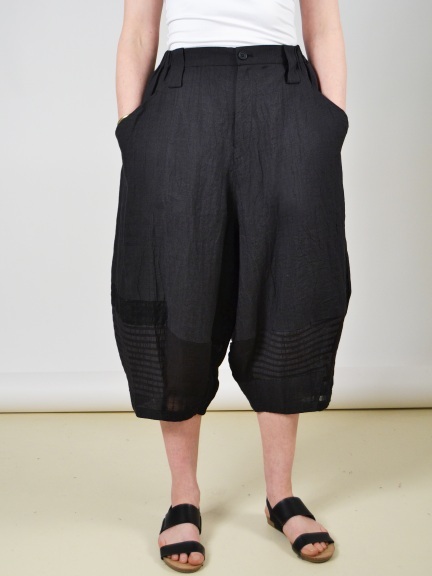 A high rise trouser made from subtle tonal shades of faded black fabrics has a cropped tulip silhouette. Traditional front zip closure, large belt loops, flat front waistband with elasticized back and pieced panels at bottom of pants. Made in Japan of a linen/cotton blend.